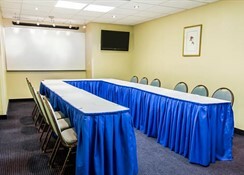 The Comfort Inn Maingate is just 1 mile from Walt Disney World and if visiting the Disney theme parks is on your agenda for a stay in Florida then this offers a prime location. 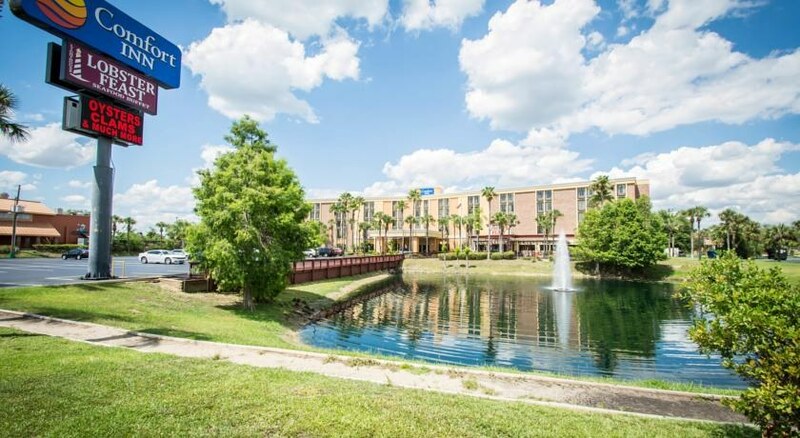 Found in Kissimmee which is to the south of Orlando, this hotel has good access to all the main attractions in the area including Universal Studios and SeaWorld and there is also a free shuttle service to the theme parks. 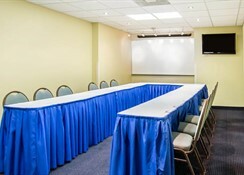 Shoppers will especially enjoy the Comfort Inn Maingate as it offers transportation to the Lake Buena Vista Shopping Mall. You will find a host of amenities including a swimming pool, on-site restaurant and the rooms have a flat screen TV, free WiFi and everything you need to make your stay a comfortable one. This hotel is located in Kissimmee which is to the south of Orlando and is just a mile away from the world-famous Walt Disney World. 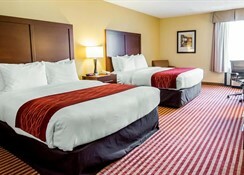 The Comfort Inn Maingate also means guests can make their way to SeaWorld (9.3 miles), Universal Studios (15 miles) and Disney’s Animal Kingdom (1.4 miles). There are various golf courses close by to the resort which includes The Legends Golf Course (1.6 miles), Mystic Dunes Golf Course (1.7 miles) and Orange Lake Golf Course (2.2 miles). The Orlando International Airport is 18.4 miles away. 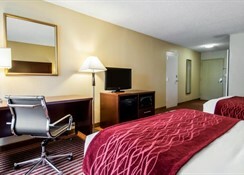 There are 4 different room options that can sleep up to 6 people at the Comfort Inn Maingate. Deluxe King rooms have 1 double bed, Standard Queen rooms have 2 double beds, Deluxe Queen rooms have 2 double beds and a sofa bed while there are also family suites available. 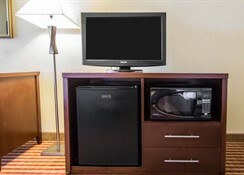 All rooms come with free WiFi, flat screen TV, tea and coffee making facilities and fridge. The Lighthouse Lobster Feast restaurant is right next door to the hotel and opens from 4 pm daily with a varied menu including seafood, meat, poultry and salads. It offers an all you can eat feast for $37.95 before 6:00pm and $41.95 after 6:00 pm. The Wild Side bar and grill and Golden Corral restaurants are close by as are several supermarkets and bars. 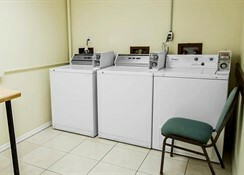 There is a Jacuzzi and swimming pool on site at the Comfort Inn Maingate and you can also avail of the free shuttle service to Walt Disney World. Golfers can play on a selection of courses that are all less than 3 miles away from the resort and shoppers can take a trip to Prime Outlets Orlando and a range of other malls in the area which includes transportation to the Lake Buena Vista Shopping Mall. Scheduled transportation to Disney Theme Parks, Universal Orlando, SeaWorld and Lake Buena Vista Outlet Mall daily.